The problem for consumers who live where the snow flies is making it to work when the roads haven’t even been plowed yet. Hundreds of essential workers who staff hospitals, nursing homes, police and emergency management, and highway and road crews can’t just call in sick. One way to get to work is to own a big all-wheel-drive monster truck with a lift kit and oversize winter tires. But there are other options if you don’t want to be left stranded when the snow gets deep. 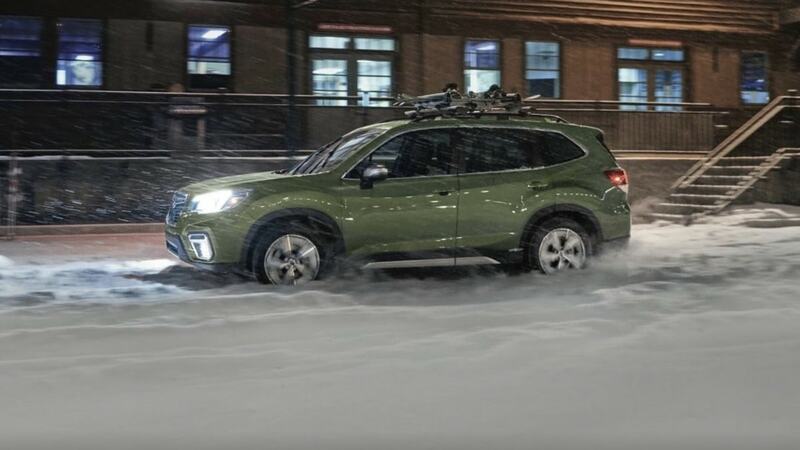 If you need a winter vehicle that won’t leave you stranded when the snow flies, you need an extreme vehicle for off-road use, Subaru brings the new fifth-generation 2019 Forester that is synonymous with winter and snow. Consumers in North America who need an all-wheel-drive to get to work when others are calling into work for a snow day are responding in a big way to the redesigned Forester SUV. In Canada, the all-new redesigned 2019 Subaru Forester SUV posted its best January ever to start the year with a 14.9 percent gain compared to the same month last year. The SUV was the best-selling nameplate in the lineup beating the popular Crosstrek and all-new Ascent family hauler. In Canada, the Northern U.S. and Rocky Mountain states where the winters are cold, snowy and the roads can be treacherous, Forester is a popular choice because of its 8.7-inch ground clearance and all-wheel-drive all-weather capability. Another reason consumers are finding the Forester appealing is its off-road system called X-Mode that is used in more extreme situations. For the owner who wants a vehicle that will be used for more than a grocery hauler, and wants to also explore the Rockies, this vehicle is rugged enough to handle it. Forester owners have typically been an adventurous group who don’t have to leave their cars in the garage when the snow gets deep. Some Forester owners even modify their small SUVs with lift kits, bigger tires and wheels, and engine mods. They will use the Forester to enjoy extreme winter sports in the mountains around the globe. Even a stock Forester with no modifications can be used for winter travel beyond getting to work and can use the small SUV to get to the trailhead for cross-country skiing, over the pass to the ski resort for snow-shoeing, snowboarding, and sledding. Subaru seems to have hit it out of the park with the all-new 2019 Subaru Forester that launched last fall. For those who can’t call into work for a snow day, it’s a good fit because of its extra ground clearance, all-weather all-wheel-drive capability, and extreme off-road abilities.